Board of Control for Cricket in India (BCCI) has modified the cricket events’ schedule of the Indian Premier League (IPL) for 2011 year due to upcoming Assembly elections of five states in the country. According to IPL 4 revised schedule, matches will be started from April 8, 2011. The league organizers stated that, by keeping in mind Assembly elections of states Tamil Nadu, Kerala, West Bengal, Pondicherry and Assam, changes has been took place in the 2011 IPL original schedule. The deadline for official approval of media has been also expanded by the organizers, considering the revised schedule. Chirayu Amin, IPL chairman, said, "The revised media accreditation form will be sent out to the media soon. 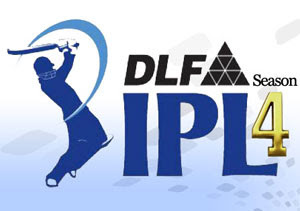 The mediapersons who have already applied for accreditation, will be contacted separately by IPL's accreditation team." IPL 4 will start from April 8 and continues up to May 22 and quarter final will begin on 24 May, 2011 while final will be held on May 28. 10 teams will compete to each other in IPL 4. The first match will be played by Chennai Super Kings vs Kolkata Knight Riders on April 8, 2011.